Absolutely love this shirt. Wear it with jeans, slacks, even shorts! Great fit and quality is very good for the amazing price. Quality products and timely shipping. Really like the soft feel of this shirt. It is dressy for the office, but really comfortable. Response from Charles Tyrwhitt: I am sorry to hear that one of your shirts does not fit the same as your others, this is certainly most unusual as all of our shirts are made to the same specifications. 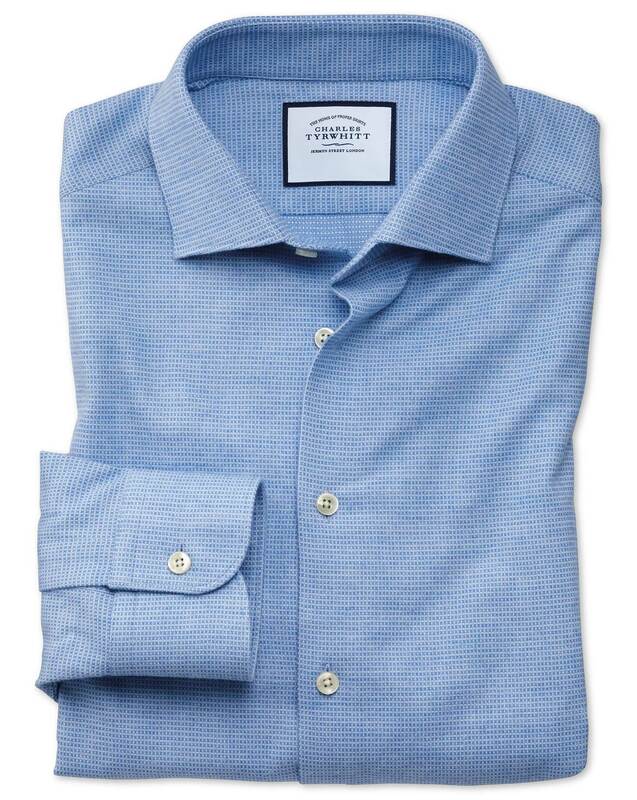 I can see from your order that one of your shirts is from our Casual range, which due to the slightly different sizing structure using standard measurements these can be a bit different to the customisable Formal range- this Casual shirt indeed has a 1 inch shorter sleeve length. However I can see that you have indicated one of your Formal shirts is the incorrect size, and this should not be the case. Please confirm the shirt affected, and we can look into this further for you and arrange any replacements necessary.